This top floor condo at The Villas at Walton Creek is incredibly open and bright. With cornered windows facing south and east, the natural light shines brilliantly inside this unit with lofted ceilings. The kitchen boasts a center island, natural wood cabinetry, double-basin sink and all appliances. An efficient gas fireplace in the living room keeps things cozy in the winter months while an overhead ceiling fan circulates the air in the summer. 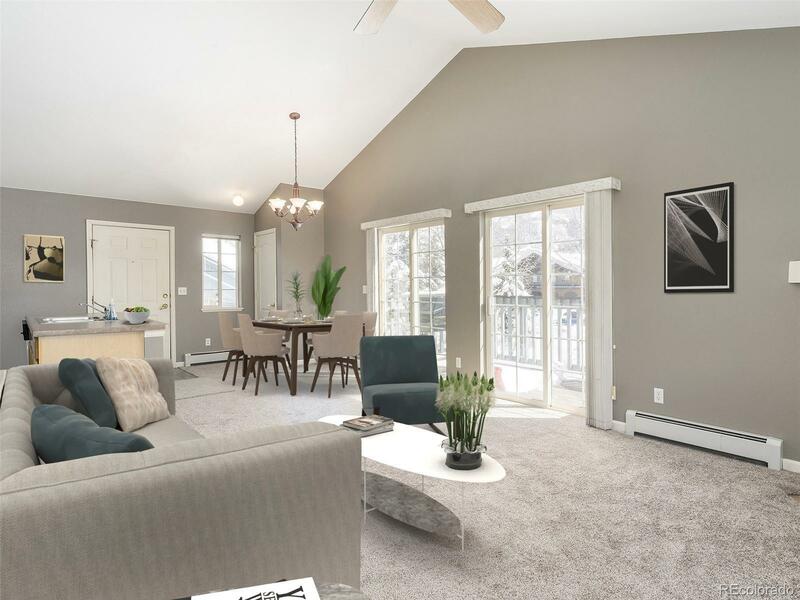 Off the living area youâll find a walkout deck which provides glorious views of both the ski area and Flattops mountain range. The master bedroom enjoys an ensuite bathroom and tall ceilings. A 1-car garage with plenty of extra storage space provides room for both your vehicle and seasonal items. Located less than a mile to our world-class ski resort, this is an ideal mountain village condominium.